The fate of the great Austrian composer Johann Strauss (1825-1899), whose waltzes are known all over the world, was linked with Russia, where in 1868 he met a rich girl. That meeting changed his life. Johann Strauss II, as they call him in the music world, tried to prove to the world that he was the King of Waltz and not his father, also Johann Strauss, who was known in Austria as one of the most famous and talented composers. 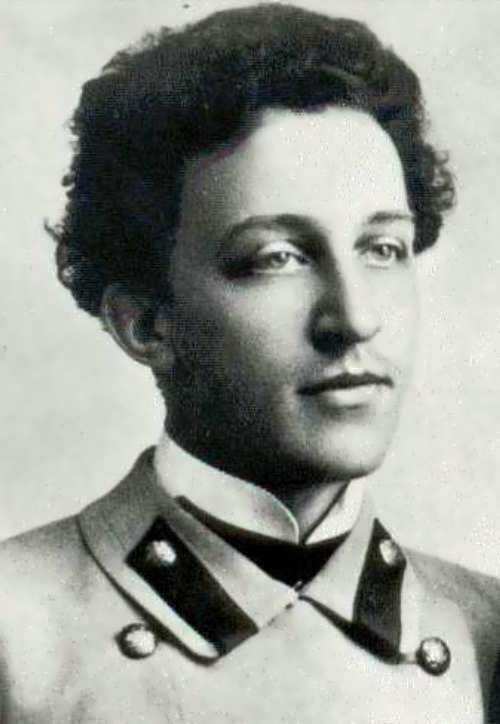 Ambitious and really talented, Strauss’s father glorified waltz and was able to get fame not only in Vienna, but also throughout Europe. Children who were born in the family every year, almost did not see their father. Besides, he had a mistress, who also gave birth to seven children. But Strauss Sr. wasn’t ashamed and did not suffer from guilt. Little Johann once vowed to overshadow his talent. Decisive, courageous and hardworking, he devoted himself to music lessons and kept it secret from ambitious parent. And soon the boy was recognized as great conductor. The Russian Ambassador invited him to Russia with concerts. So the future musical genius appeared near St. Petersburg, in Pavlovsk. It was in 1856. The public was delighted by Strauss II, he was invited to give concerts in wealthy homes. Listen to Strauss was prestigious. A true connoisseur of women, he admired the Russian ladies and gave them a lot of time. 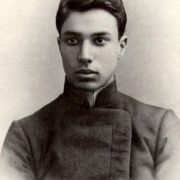 Until one day he met a young aristocrat Olga Smrnitskaya. When and under what circumstances they met remained unknown. 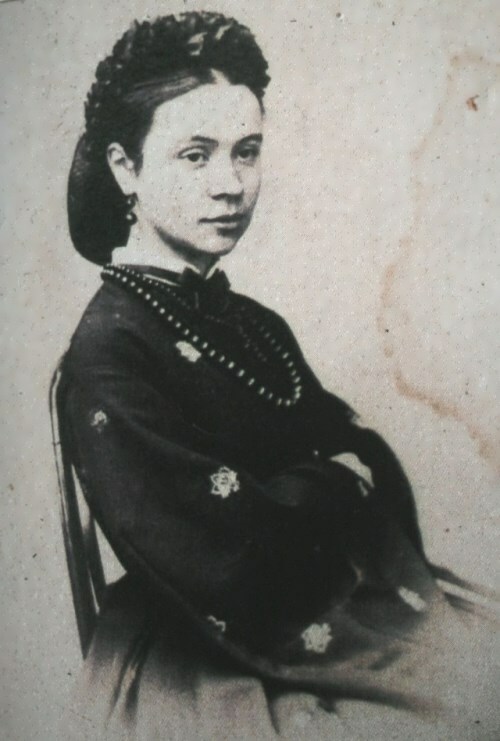 It is believed that they met in 1858 when Smrnitskaya asked the composer to perform her romances, which were based on the verses of famous Russian poets, at his concerts. He agreed, and soon realized that the sympathy for the young, beautiful girl turned into a great feeling. 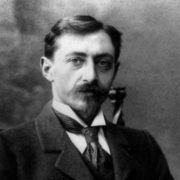 Great composer’s “Russian Love” is still a mystery in his biography. However, the letters that were found by Dr. Thomas Aigner in 1992 in the archives of the Vienna library, shed light on the tragic love story of a great musician. They wrote notes to each other on candy wrappers and delivered them through mutual friends. Later, they would play hide and seek in a particular tree trunk in the park at Pavlovsk. The nearly a hundred letters written between them that exist today are wonderfully romantic. 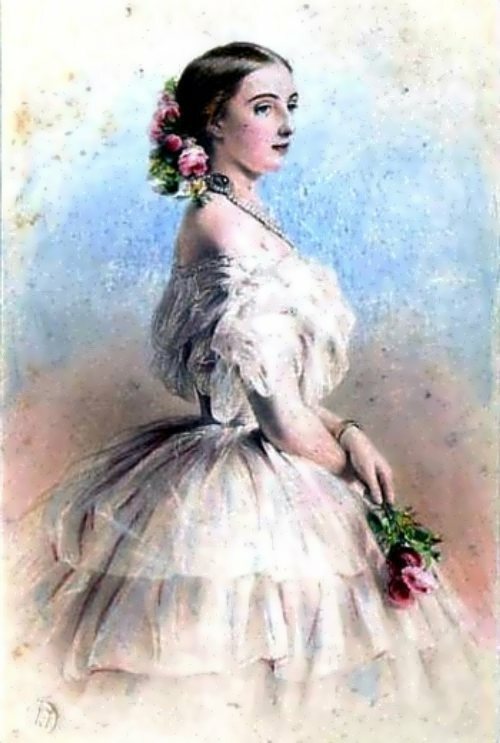 Strauss’ compositions “Viennese Bonbons” and the remorseful “Parting with St. Petersburg” were inspired by Smirnitskaya and the love they shared. 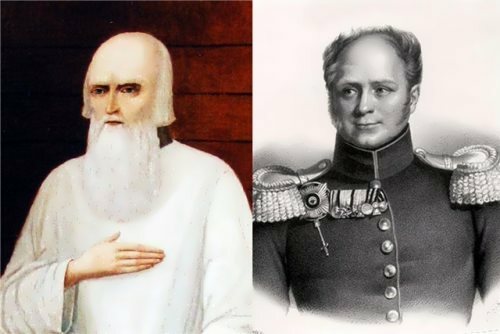 He really wanted to marry a Russian aristocrat, but her parents refused the marriage proposal. Strauss was not a nobleman, came from a poor family, and his talent had no significance for Smrnitskaya’s parents. Confused Olga could not go against the wishes of parents, and Strauss’s request to run with him to Vienna, she categorically rejected. The composer returned to Vienna alone. For a long time he could not forget Smrnitskaya, he suffered greatly and dreamed of a new trip to Russia. A year later, unable to tolerate separation, Strauss went to Pavlovsk to see Smrnitskaya and ask her to marry him. However, she finally refused. Sobbing and asking for forgiveness, Olga was not able to go against the wishes of parents and chose to stay away from the foreigner. Johann Strauss left Pavlovsk. A few months later he learned that Smirnitskaya became a wife of a wealthy aristocrat, lawyer Alexander Lozinski. 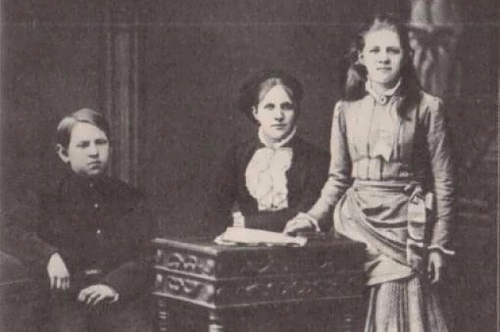 To forget this love story, composer started dating women. And after a few years the whole Vienna spoke about his love affairs, countless adventures and two dozen brides, whom musician allegedly wanted to marry. Anyway, Strauss married. But it happened so suddenly that all Austria had not been able to recover from the stunning news. His bride was a woman seven years older, a former actress, a mother of seven children. She completely dedicated her life to “beloved Jean”, for a long sixteen years she was a caring and patient wife. 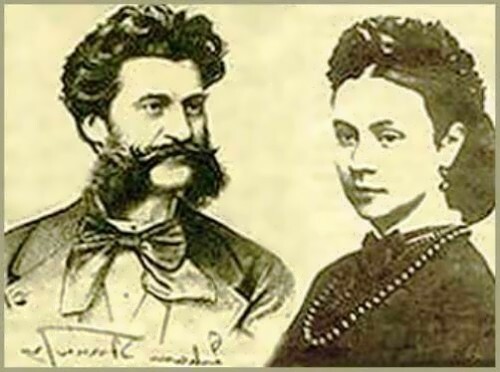 She died in 1878, Johann Strauss was shocked and… married a month later. 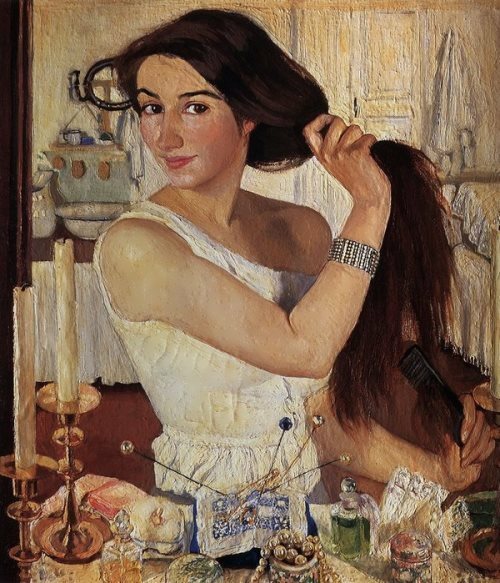 His next wife was a young actress, vain and cunning person, who did not want to be faithful to her spouse and often came home only in the morning. The composer decided to leave his wife. But he wasn’t alone for a long time, he married again and lived with his third wife until his death. 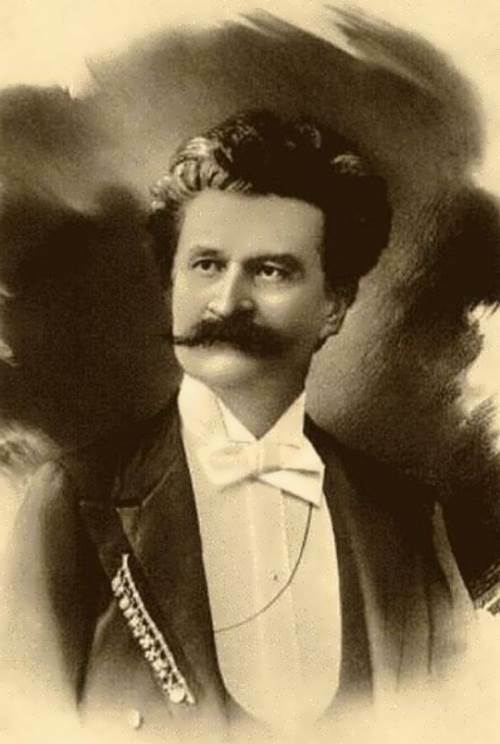 Johann Strauss died of pneumonia in 1899. About a hundred letters and wonderful waltz, which great Strauss once dedicated to his beloved Smirnitskaya, remind about short but brilliant love story. They died, but the music is alive.